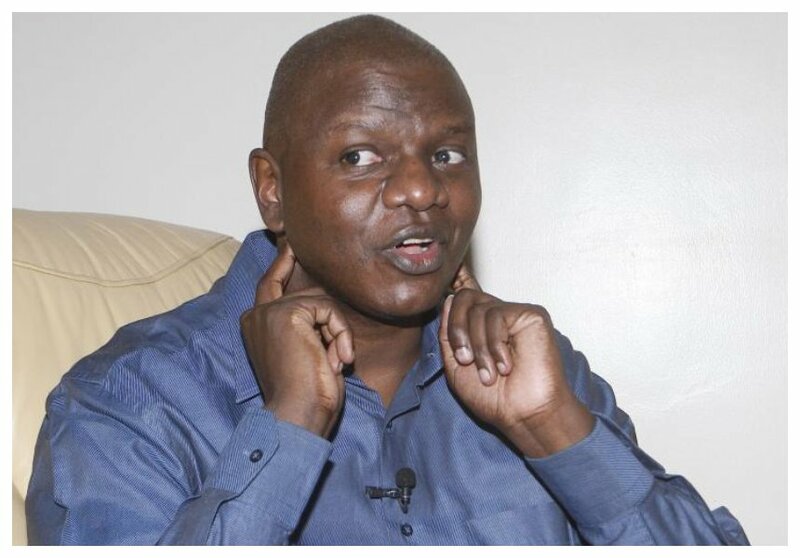 Kenyans have so far donated Kes 1.73 million towards Louis Otieno’s ear surgery. 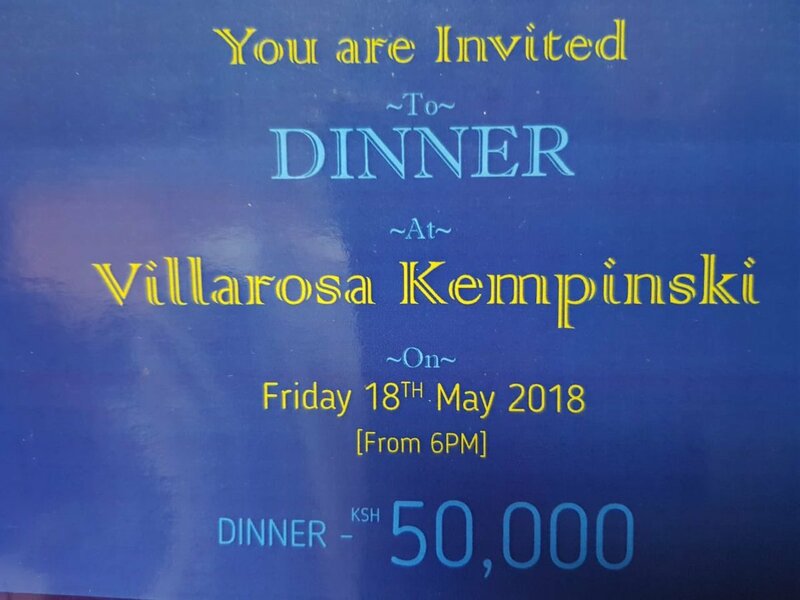 The surgery will cost Kes 4 million, Louis’ family is set to hold a fundraiser this Friday May 18th at the Villa Rosa Kempinski Hotel. “Come My Friend, Buy a Plate Of Dinner and Help Me Get a Chance to Regain My Hearing. Thank you, every single one of you, who graciously responded to my public medical fund appeal. You are no longer a stranger, You are my friend. My special thanks to Angela Ambitho, James Smart and Ronny Osumba, who initiated this Appeal, that saw Kenyans raise 1.73 million towards my surgery. “It is now time for a final effort to meet the required target of 4 million. Towards this, I invite you all to a fundraising, sponsored by the Rahab foundation. 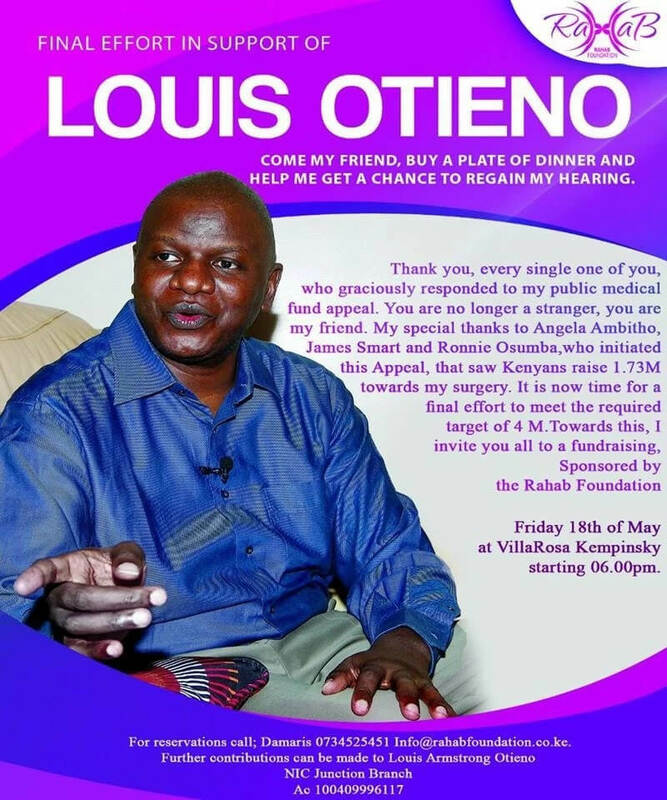 Friday 18th of May at Villa Rosa Kempinsky starting 06.00 pm,” public notice calling for Kenyans to help out Louis read. 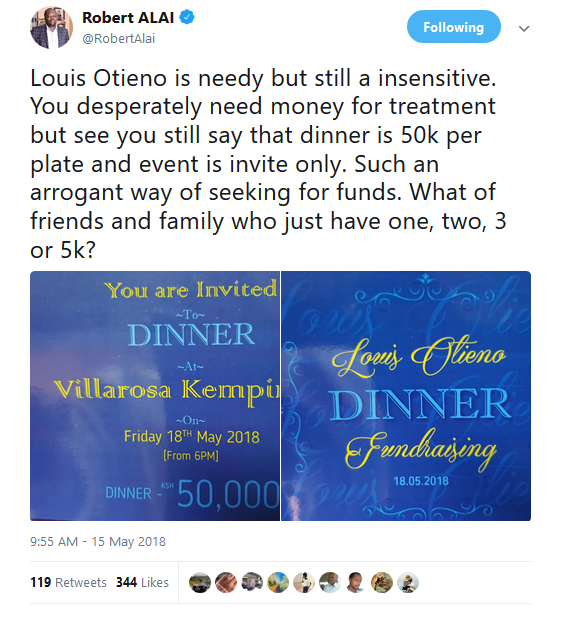 Kenyans on Twitter (KOT) however expressed dissatisfaction with Louis’ fundraiser, netizens are angry that the former KTN anchor is charging Kes 50,000 per plate for his fundraiser. KOT stresses that a beggar doesn’t not choose.